OPTIMA Batteries is looking for the best street-legal performance car in America. They have traveled to the nation’s most iconic tracks and opened the gates to all makes and models. It all ends in Las Vegas, where OPTIMA Batteries will crown this year’s Ultimate Street Car. 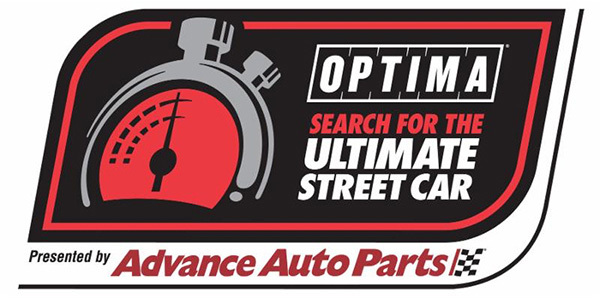 Presented by Advance Auto Parts, “OPTIMA’s Search for the Ultimate Street Car” will return to MAVTV as a weekly, 60-minute, 10-episode series. This will be its fifth season on MAVTV Motorsports Network. 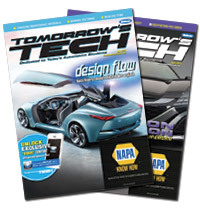 OPTIMA Batteries says it developed the annual competition with two goals: 1) To showcase cars that use over-the-counter aftermarket products to improve performance and 2) Give the car owners, drivers and sponsors a positive environment in which to socialize and display their vehicles and products. The competition is open to six vehicle classes – including one for pure electric cars – and all vehicles must be registered, licensed and insured for street use. Each vehicle is tested for Design and Engineering; Road Rally; Speed-Stop; Autocross and Road Course capabilities. Events are conducted at race tracks throughout the nation, among them Las Vegas Motor Speedway, Las Vegas; Pike’s Peak International Raceway, Fountain, Colorado; and Auto Club Speedway, Fontana, California. For more information/airdates, visit mavtv.com.